﻿As a child, I hated cow’s milk. I gave up the stuff at a very young age. However, I remember on occasion my sisters and I would squeeze strawberry syrup into our milk glasses, to mask the flavor. 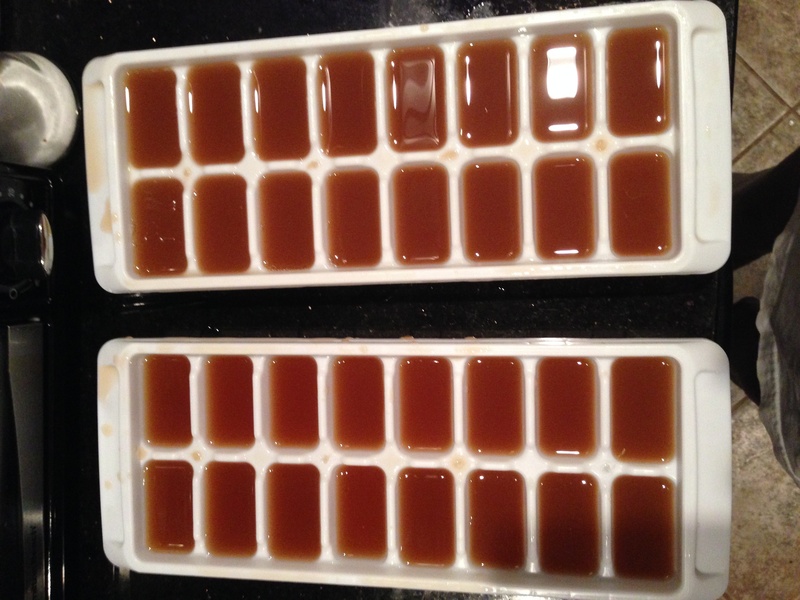 As we stirred… it would mix up into a light pink creamy sweet drink. Well, now as an adult I know better, that the strawberry syrup I used as a child is artificial and full of sugar. (You won’t see this mom touching that stuff.) But guess what? 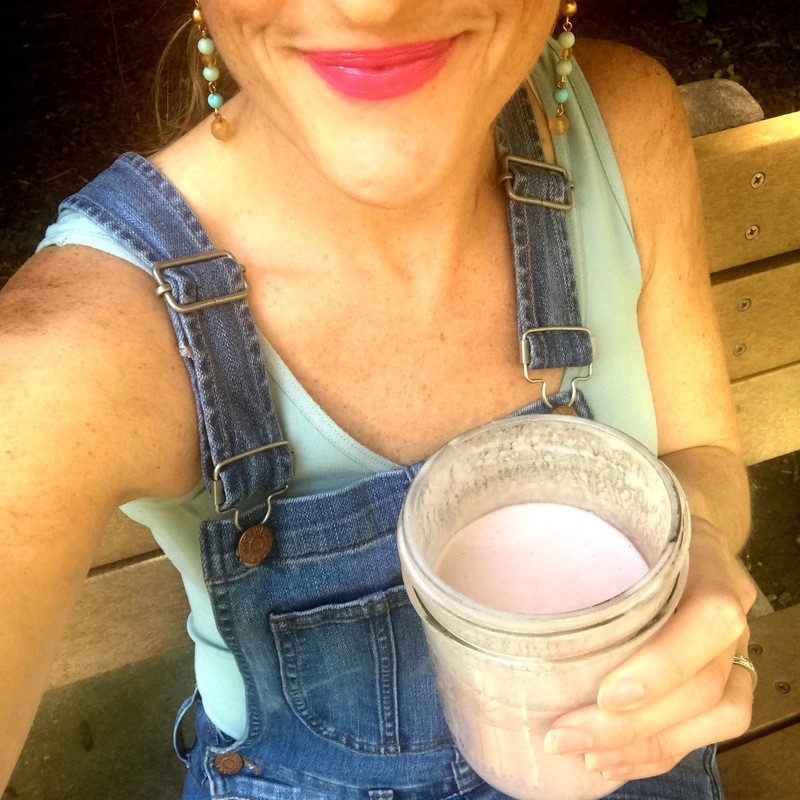 I have come across a recipe for a healthier alternative – Strawberry Almond Milk. Everything about this is heaven – the texture, the color, the flavor! Warning: Once you make your own homemade nut milks, you won’t go back to the store bought kind. Here’s what you are going to need! Let’s talk Strawberries! There is nothing better than fresh picked strawberries from the garden. So look for organic local strawberries. I got these vibrant red ones from my local farmer’s market. Soak 1 cup of raw organic almonds (in the refrigerator) overnight in a bowl of filtered water. Strain soaked almonds and rinse. Place the soaked almonds in a blender with 3-4 cups of filtered water. Blend. Strain freshly made Almond milk (the stuff in your blender) through a cheese cloth, over a bowl. Give blender a quick rinse. Then pour freshly strained Almond milk back to your blender. Add one teaspoon of vanilla to blender. Add 2 dates (no pits) to blender. Add 10 – 14 fresh organic strawberries. 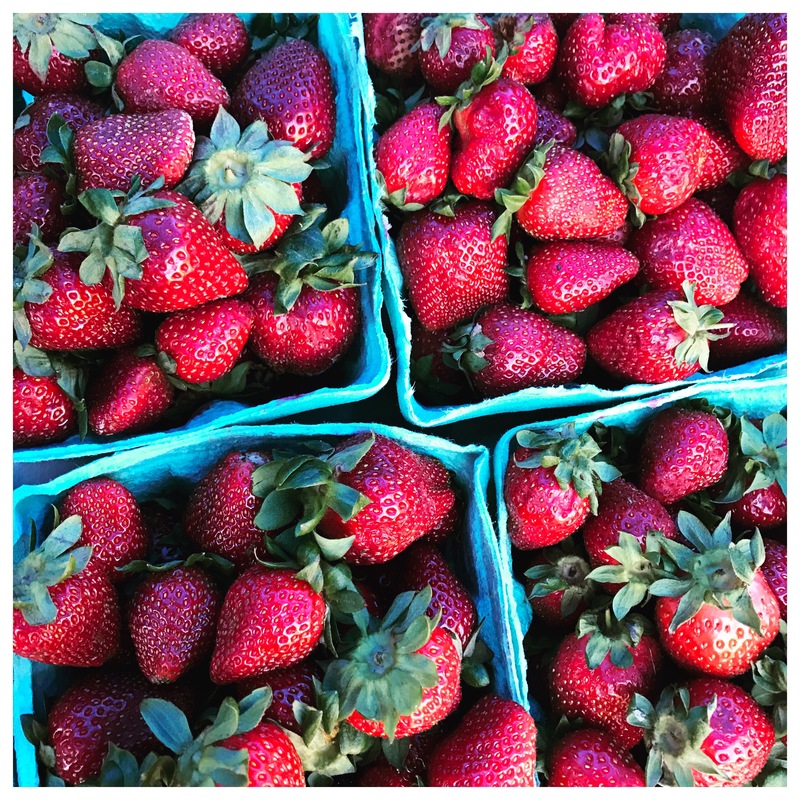 Amount depends on size of strawberries and your taste buds preference. Blend all ingredients together on high or on liquid setting. Strain strawberry Almond milk through cheese cloth one last time, this way it is very smooth. Side note: you have a Vitamix or a very high quality blender you may not need to do this step. Store strawberry Almond milk in a mason jar or pitcher in refrigerator. This will make about 3 cups of milk, and will last 5 days in the refrigerator, however, its so delicious I’m sure you will drink it up before that. You can also use this milk in chia seed putting and smoothies. 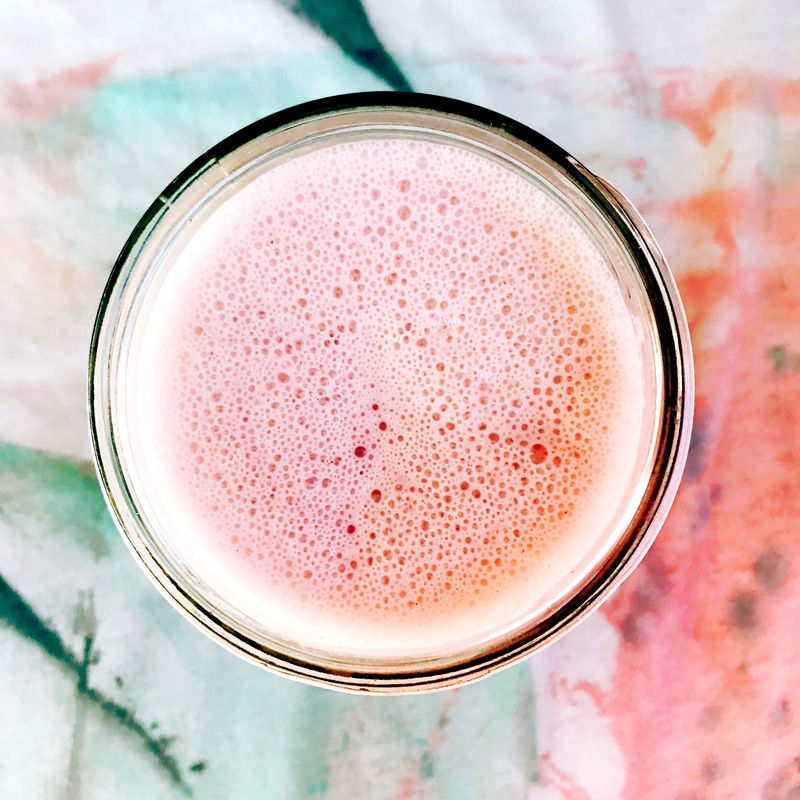 This strawberry Almond milk is very creamy in texture, pink in color, and tastes delicious. Use your taste buds and customize the final product… Do you need more dates to make it sweeter? Do you need more strawberries. 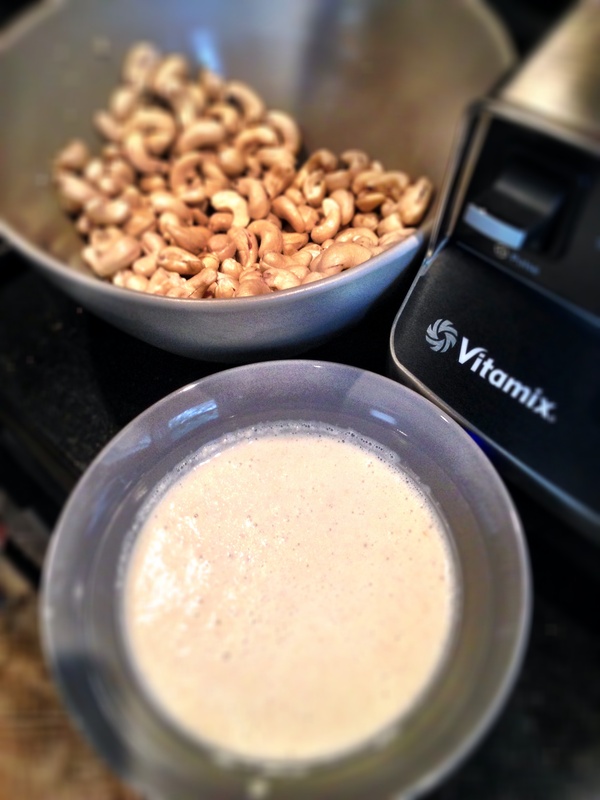 It takes a little time at first to get the hang of making your own nut milks homemade and fresh. However, once you do, you won’t got to bed until you place a bowl of soaking nuts in your refrigerator. What’s your favorite nut milk? My November Goal post revealed my food goal for November, which is to explore and test my Thanksgiving recipes instead of winging them the night before or day of. So I have been in search for the perfect Thanksgiving dessert recipe -something new and different that my family has yet to try. 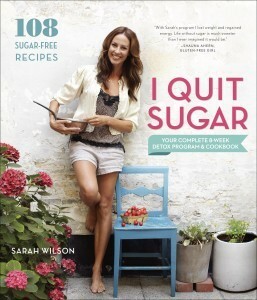 To find this recipe, I have been reading tons of magazines and blogs. 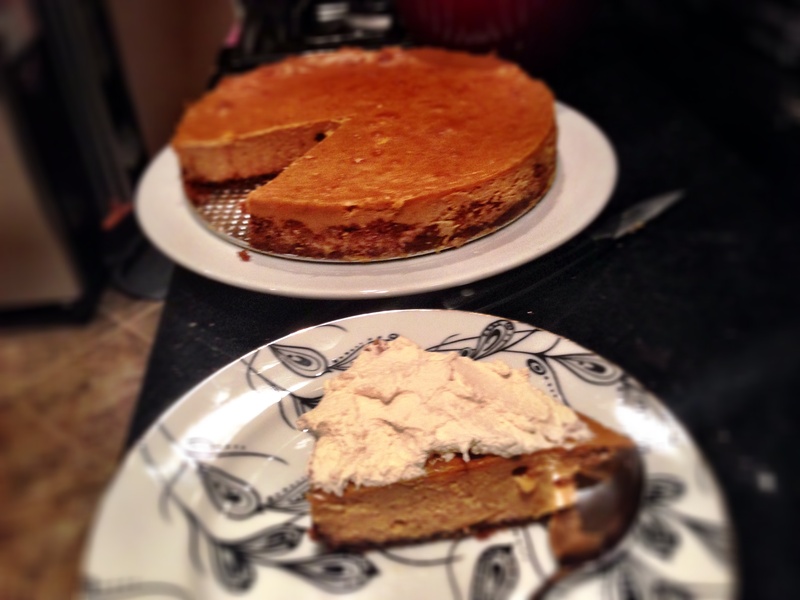 While browsing Bon Appetit I finally came across a Sweet Potato Cheesecake Recipe. I don’t bake much, but I have been lately. Having a Kitchen Aid Mixer and a Vitamix has made me more adventurous in the Kitchen. These tools are must haves and I can’t believe I use to cook and attempt to bake with out them. They save me in the kitchen. When baking this recipe there were so many firsts for me. It was my first time making a Cheesecake and using a springform pan. First time ever using sweet potato as a dessert. And it was my first time doing a water bath. Springform pan: is a type of bakeware which features sides that can be removed from the base. This is a must have when making cheesecake. Like any product, you can find one to fit your budget. 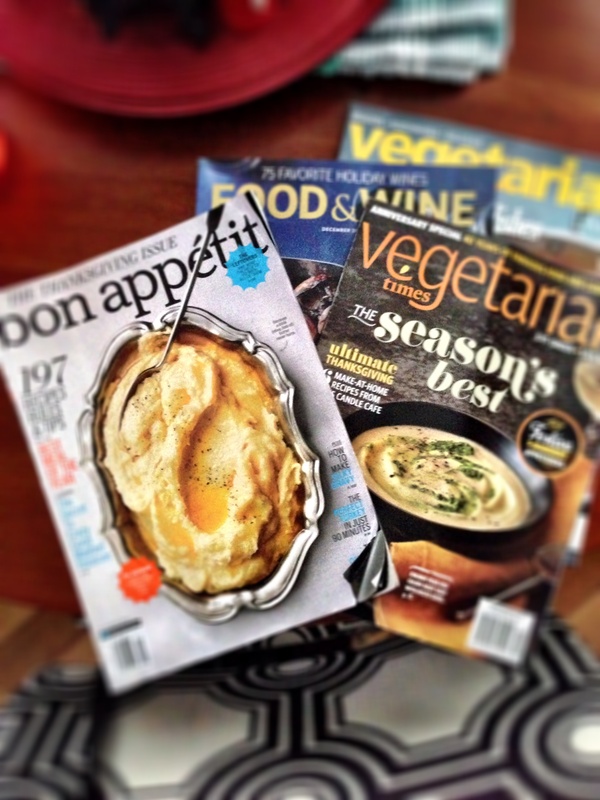 I got mine at Sur La Table for under $15. Water bath: At this point your cheesecake is already assembled in the springform pan. Now you are going to place it (cheesecake springform pan and all) in a bigger baking pan. You will boil water over the stove. Once water comes to a boil you will pour the boiling water into the bigger baking pan until it is about 1 inch deep up the side of the springform pan. Then you will transfer the cheesecake and water bath to the oven and bake. The water bath keeps the cheesecake moist and prevents drying and cracking. 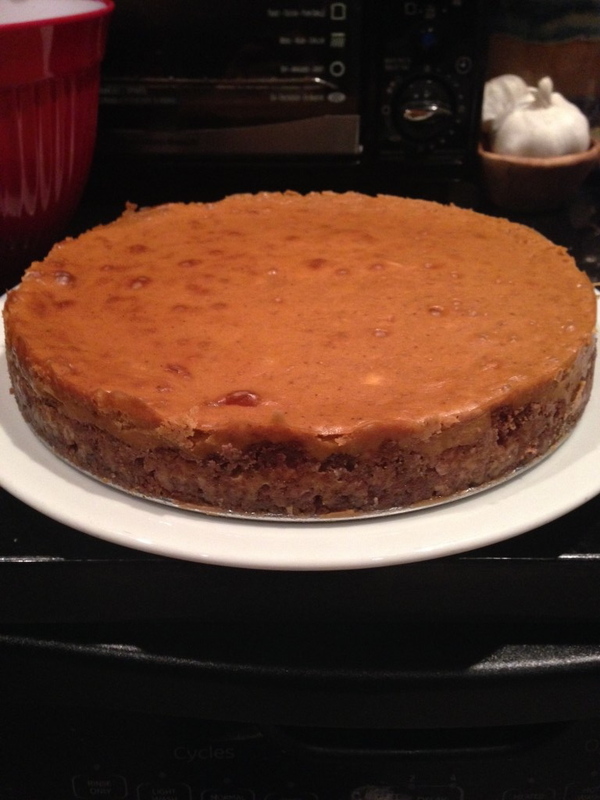 So there are two parts to this cake, the Oat-Pecan Crust and the Cheesecake Filling. Combine all dry ingredients in Vitamix. Select Variable 1, push start, slowly increase to Variable 6 for 5 seconds. Bring back down to Variable 1 and pour melted butter in though the lid opening. Pulse until everything is blended. Transfer crust mixture to a 9″ springform pan, pressing it into the bottom and 1″ up the sides. Peel and Cup the sweet potatoes, boil them until soft. Combine all ingredients in Vitamix. 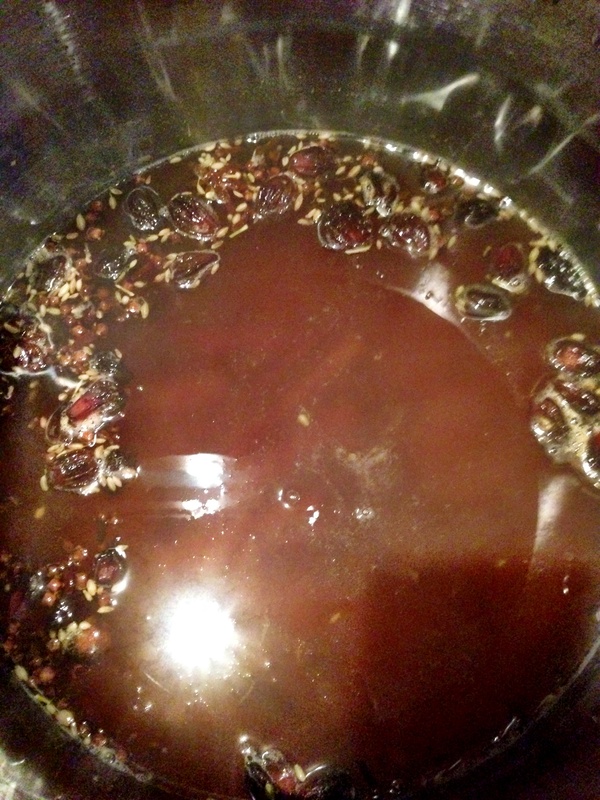 Start water bath, (for additional notes check above) bring 2 quarts of water to a boil. Position the springform pan inside large baking pan/dish. Pour water in the outer baking pan/dish until it reaches 1″ up the springform pan. Transfer cheesecake in the water bath to the oven and bake for 60 minutes, until edges are firm. Remove cheesecake from water bath and cool cheesecake on cooling rack for 1 hour. Then transfer cake to refrigerator and cool completely for 4 hours. When ready, run a thin knife around sides, remove springform pan sides. Important note: Make sure your cream cheese is room temperature. If it is cold the eggs will not mix well. It will be lumpy. Wondering how this taste!? Well it turned out delicious. I brought it to work and it was gone in 5 minutes. What is your favorite Thanksgiving dessert? What are you making for Thanksgiving? 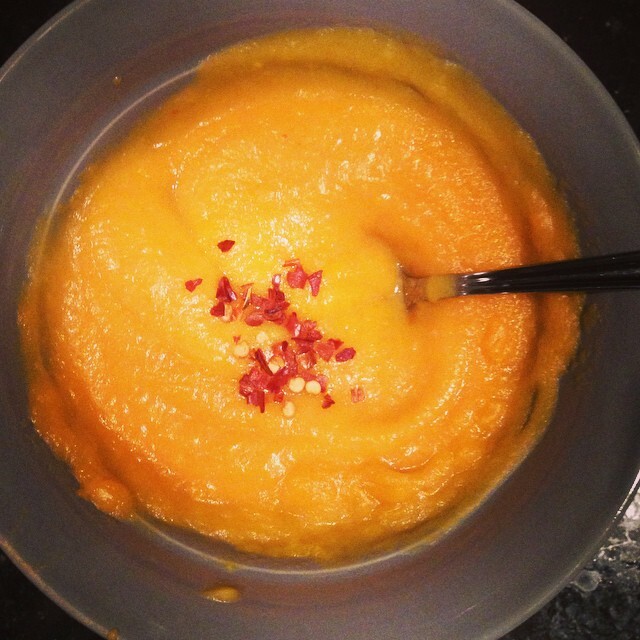 Have your tried sweet potatoes as a dessert?